Casa Enrique is a Michelin Star Rated Mexican restaurant that serves traditional recipes from Chef Cosme Aguilar’s hometown of Chiapas. 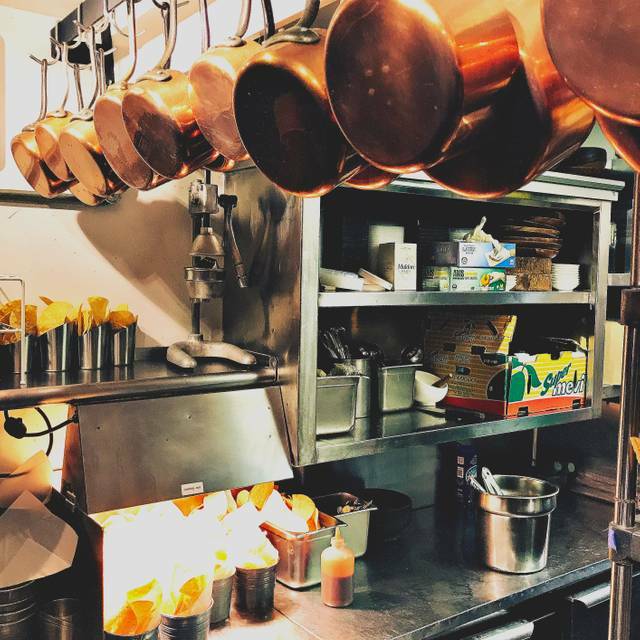 The menu highlights the authenticity and simplicity of the region that blends creativity and traditional family recipes. To compliment the award winning cuisine, with a fantastic cocktail menu that focuses on Tequila, Mezcal, and other latin american drinks developed by the director of operations Luis Aguilar. Margaritas and cocktails are carefully handcrafted which gives each drink its unique and exceptional flavor. Casa Enrique’s high standard for exquisite flavor comes from the fresh ingredients used in each cocktail and dish. All of this is followed by service that provides a remarkable and memorable dining experience. 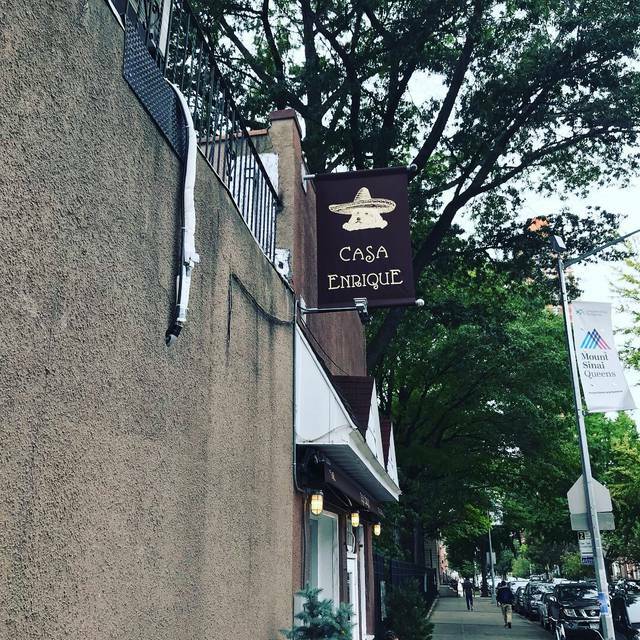 Casa Enrique is home to the best Mexican food in New York City, and we bet you've never heard of it. Time to get acquainted with Long Island City. Excellent service, absolutely superb food, wonderful ambiance! We love Casa Enrique! I come here at least once a month. The sopecitos with chorizo are an amazing appetizer and the mole enchiladas are to die for. If you're looking for something non-alcoholic, the Tamarind beverage is amazing. Overall this is the place to be at in Long Island City and the number 1 Mexican restaurant in all 5 boroughs! Casa Enrique was on my radar for some time but never made it out. After our most recent trip to Playa del Carmen where we only ate at local places and away from tourist traps, we were craving authentic Mexican food and we are so happy we went! Everything looked so good on the menu and after our first dish, we knew we would be back 4 more times to try it all. Everything was great! It is a bit loud which we didn't notice until the end but just a warning if you want a quieter dining experience. The food was excellent, but the service was definitely lacking. It did not feel like Michelin star restaurant. 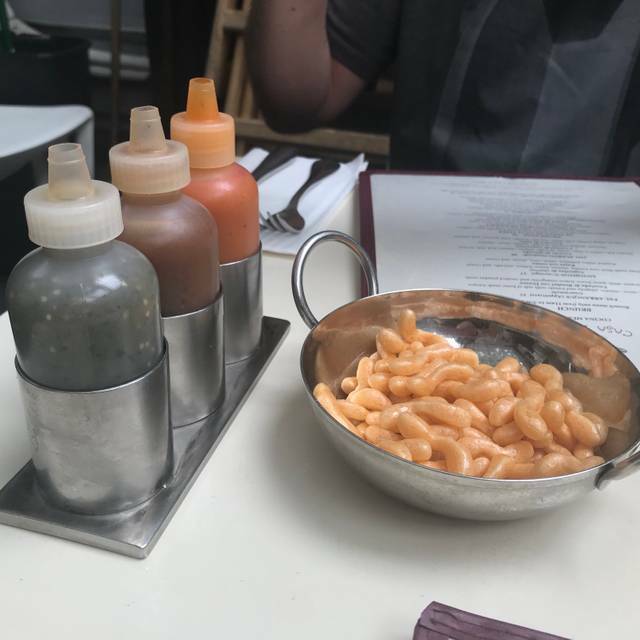 We felt very rushed by the servers and they kept taking our clean napkins away. The drink orders took too long to arrive. Little things make a difference and expectations of a Michelin star dining experience especially. Our appetizer came before our cocktails that were ordered simultaneously. Same thing happened with our dessert and last round of drinks. The food was tasty tho. Incredible tacos!! Absolutely loved it. Decor should be better but amazing food. Casa Enrique was an exceptional experience! Their food was cooked well and accordingly, tasted great and arrived promptly. I especially appreciated the service that Leo provided for us as he made great recommendations and made sure our dinner was enjoyable. Overall, Casa Enrique was phenomenal. I have already recommended it to my friends. I will definitely go again. Fantastic food, service, ambiance. Tight space but very attractive. Wonderful cocktails as well. The food was over salted and surprise to a local like myself. The quality seems to have gone down. It was just my toddler aged daughter and myself. It took far too long to get even our guacamole - and there was almost no one in the restaurant for a 5 pm dinner reservation so that was not the reason - so long that our dinners came our minutes after the guacamole. My enchiladas were far too salty and my daughters brisket tacos - typically a big hit - were very dry and not as flavorful as on any other occasions. Disappointing dinner, especially considering how impossible it’s gotten for local neighbors to grab a bite here. 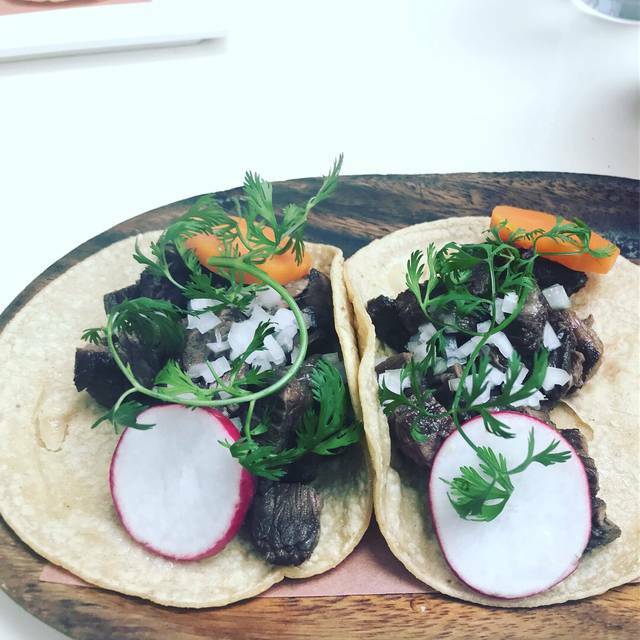 Food was excellent except for the Carne Asada tacos - bland, unexciting; a sliced of pickled carrot and a slice of carrot was the extent of it. Our waitress could have been friendlier, her attitude was the only negative in an otherwise lovely brunch. A must try. Great food. The mole was amazing. Services was solid all the way through. The only area I feel could be improved was their deserts. 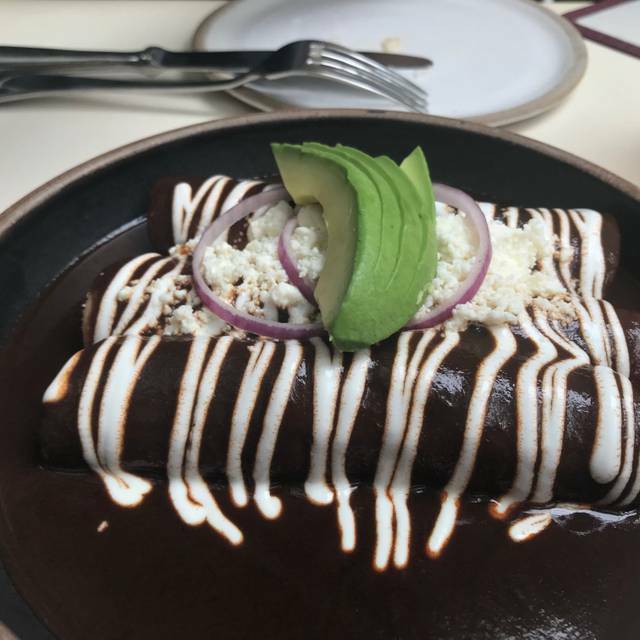 We tried three different dishes, and while all were good, they weren't as mind blowing as their mole was. This is one of the Best Mexican/Restaurants in the City. The Food was Delicious: Shrimp Cocktail & Pull Pork Tacos & Flan to finish, all accompanied w/Fabulous Red Sangria! The Service was also Excellent. Worth the Reservation! Everything was delicious! The staff was super attentive and clearly cared that every patron had the best experience possible. Excellent food. Nothing to complain, need to visit again to try more of the menu. Hands down. Best Mexican restaruant nyc. Will go there for brunch whenever I can. I lived in San Diego for 5+ years so I have fairly high standards when it comes to tacos and Mexican food. I'd say this is probably the best taco I've had in New York. I've tried a lot of taco spots here and it usually starts with mediocre salsa and ends with disappointment. Casa Enrique is just the opposite. Can't say it's the best taco I've ever had (Pujol in CMDX, Tacos El Gordo in TJ) but it's phenomenal for New York. The food was very good. Okay but their prices are ridiculously high for a tiny portion. You definitely can't go hungry to this place. The drinks were amazing. I am a food blogger. The waiter seem to be rushing us out. She brung thr dessert menu before we finish out food. Then came to pick up the bill 5 secs after she left it, when she saw we wasnt ready she stood there and then decided to leave and come back. Overall their customer service was excellent starting with the host in the front, the guy that gave us water he was amazing, very friendly. Overall I will not returned just because of the high price for tiny portions. Food is always stellar. Service is fair. Noise level is a bit too high for a lunch or dinner. The reflection of sound is crazy, and the ceiling is low. So it is hard to talk or hear with even a small amount of fellow diners. But I still love this place! We went with friends who weren't spice or cilantro enthusiasts, although we did not know that when we proffered the invite. Oh well! 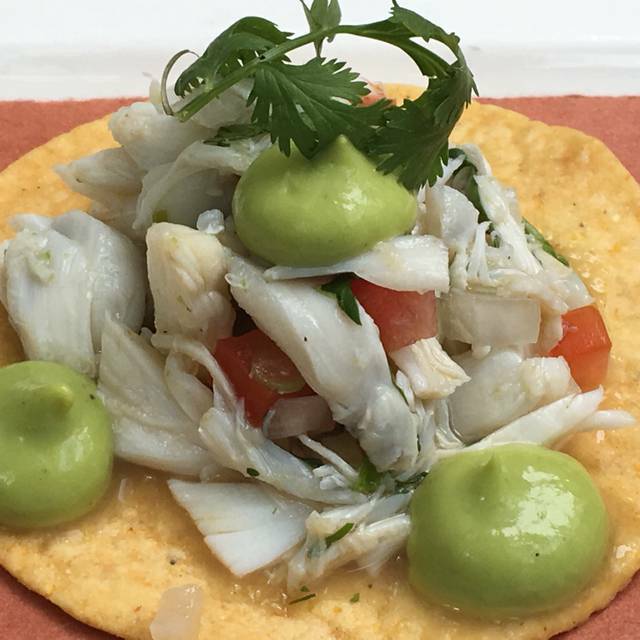 We tried the guacamole, 4 other appetizers- ceviche, sopacitos, tostadas and fried oysters. Each of us had an entree. Seriously, I could make an entire meal of the appetizers and skip the entree. Hotness level was just right for me and I didn't need extra salsa. For my entree I tried the fish with elote. The title is a bit deceptive, not elote- esquite, and made with sweet corn. Tasted like sweet corn in a chili enhanced broth. It was tasty but not what I anticipated. Choose your dinner companions carefully and go heavy on the appetizers! And margaritas! We particularly liked that service did not seem rushed. 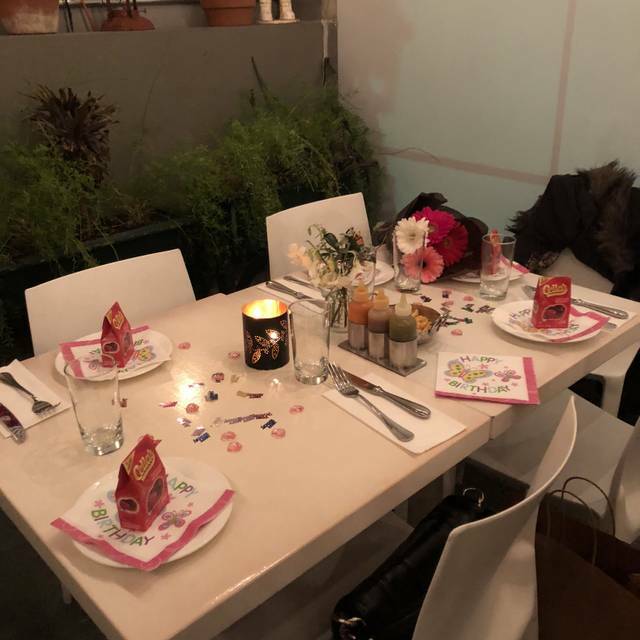 We did not feel pressured to make the entire order at once so, with the right dinner companions, you could try different things and decide what else to try as you go along. More ceviche, please! Sublime. The guacamole, the cheviche, each mouthful was devine. Drinks were ok. Service perfect and food real good. Friendly staff. Perfectly cooked Black Sea bass and scallops. Delicious rice & beans. Tasty drinks. Will be back. GOOD, real Mexican food and such great service. Worth a trip to LIC! Made reservations 5 weeks ago. Totally worth the wait! Excellent Saturday“date night”. Service and food was impeccable! This is just the most consistent and best Mexican food and mixed drink restaurant in the US. Yes there are other nearby Michelin starred Mexican restaurants in NYC but NONE compare. 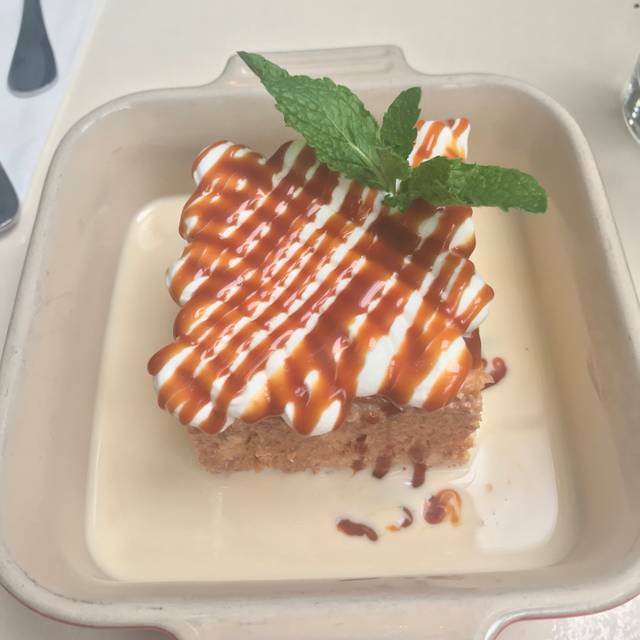 Highlights include the BEST soursop Margarita, unbelievable Mole chicken, carne asada, lamb shank, and tres leches cake. Great food, drinks, service and ambiance, but not so great that it should command month-ahead reservations for a table for two for a weeknight dinner (or a Michelin star). Authentic and delicious! good service, excellent cocktails and to die for tacos. Did I mention the guac. I'm addicted! We definitely wanted this place to be a WOW factor and while it’s def good it’s not what we had hoped for! Excellent experience once again. By far the best Mexican food I have had outside of México and abuelita's kitchen. The depths of their salsas, mole and guisados are remarkable. We had the special oyster appetizer and the scallops which were both delicious, smoky and the perfect amount of heat. 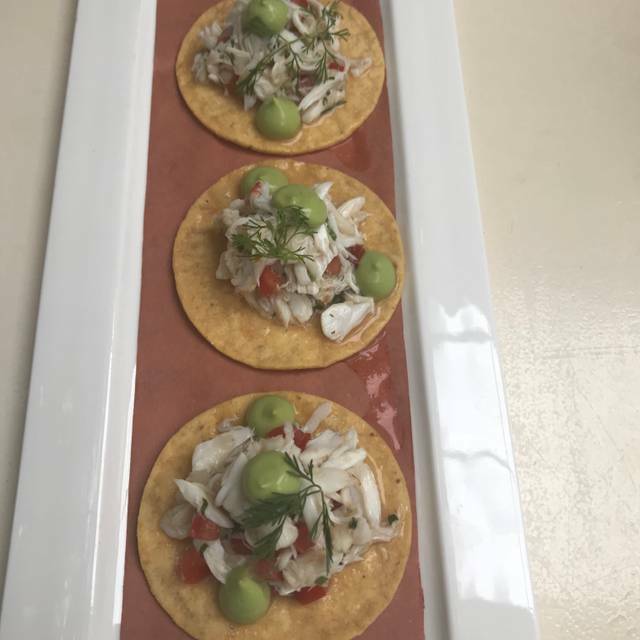 Additionally we had a couple of favorites, the crab tostadas, guacamole and ceviche. Entrees included the lamb, pole con mole and the ribs, accompanied by homemade tortillas that are hard to come by in nyc. Gustavo our server was a pleasure too. Looking forward to our next visit. I have been many times at this place, never disappointed!